$ 9.7Billion WCD Road Improvement Project Commissioned! The $9.7Billion West Coast Demerara Road Improvement Project was today commissioned at the De Willem Tarmac West Coast Demerara. 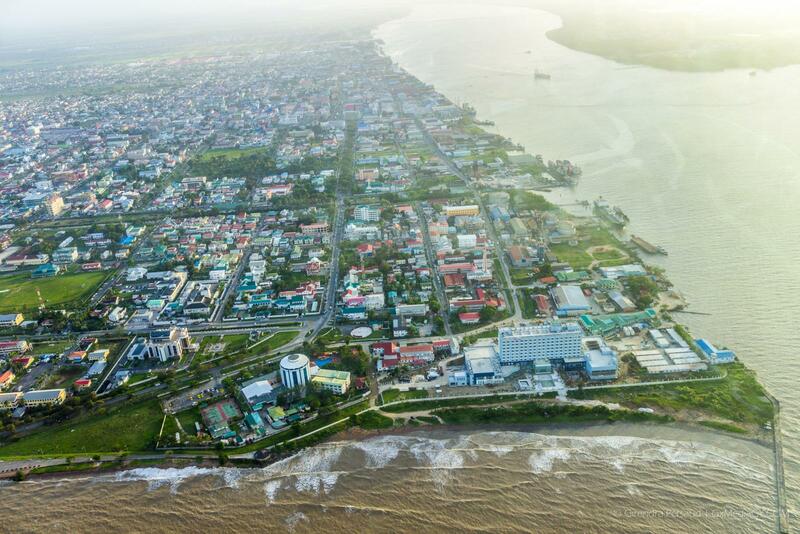 The project was funded by the Caribbean Development Bank (CDB) and Government of Guyana. Delivering the feature address was the Minister of Public Infrastructure, David Patterson who noted that the project is evidence of the government’s pledge to the development of Guyana’s public infrastructure. Minister of State, Joseph Harmon giving brief remarks. Minister of Public Infrastructure, David Patterson giving the feature address. Prime Minister Moses Nagamootoo and his wife, Mrs. Sita Nagamootoo among other ministers, CDB representative, students and project contractor observe the ribbon-cutting ceremony. Minister Joseph Harmon, Minister Annette Ferguson, Minister Winston Jordan and Minister David Patterson take a moment to have their photograph taken after the ribbon-cutting ceremony. The features along the 30.7 km rehabilitated West Coast road include upgraded bridges and culverts, new ‘shared-use’ lanes for cyclists and pedestrians at key junctions, the installation of high visibility traffic signs and road markers, the installation of pedestrian footpath bridges, the construction of concrete drains at critical locations and the construction of parking lanes along identified sections of the road. Minister of State, Joseph Harmon acknowledged that construction plays a key role in the socio-economic development of any country and it is only through construction that vital infrastructure like roads, bridges and airports are put in place. “Great importance and priority must be given to construction and infrastructure… the government recognises public infrastructure as a key element in our development in linking communities,” Minister Harmon said. The project forms part of the Government ’s ongoing programme to modernise its road infrastructure and the institutional framework supporting its management. This is expected to result in a number of direct and indirect positive social impacts in the West Coast and the country as a whole. The reduction in risk of serious injury or death particularly to students walking and riding to and from school. 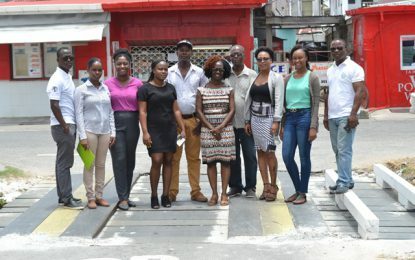 The road improvement project was officially launched on March 20, 2014, at the Pegasus Hotel, and was scheduled to be executed over a period of five years. It now benefits approximately 100,000 persons from the Vreed-en-Hoop to Hydronie, inclusive of students from over 30 schools.